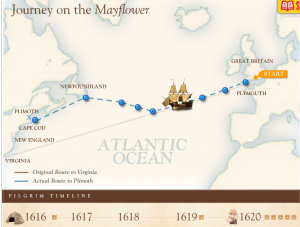 Last week we took a look at the voyage of the Mayflower. 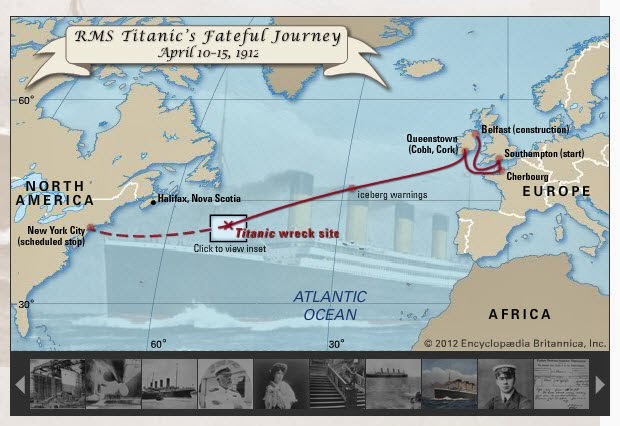 This week, we will investigate the voyage of another ship with historical importance, the Titanic. Step One (Compare & Contrast Voyages): Work with your table partner to have each map (Mayflower & Titanic) open on two computer screens in front of you. Work together, to fill out your first Venn Diagram, as you compare the voyages of each ship. Step Two (Compare & Contrast Ships): Now open the Mayflower up on your screen and open the Titanic on your partner's screen. Fill out your second Venn Diagram, this time comparing the ships themselves. Extension (Part I): Take a close look at a modern day cruise ship below. Now, can you compare and contrast the Mayflower, the Titanic, and a modern day cruise ship with the Overlapping Concepts Map below? 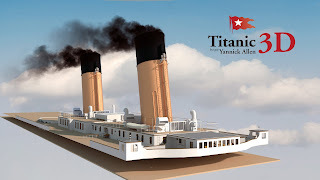 Extension (Part II): Explore the Titanic with a Titanic 3D Virtual Tour. 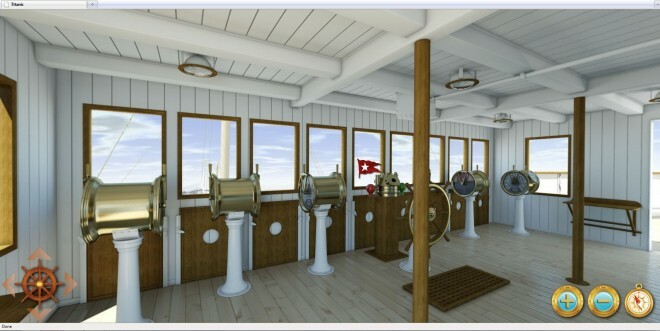 Then view the Virtual Tour video of the Carnival Magic cruise ship. After taking a look at a ship from the past (Titanic), and a current ship (Carnival Magic), think about what you think a cruise ship of the future should look like. Click the Poll Everywhere link to submit your responses.